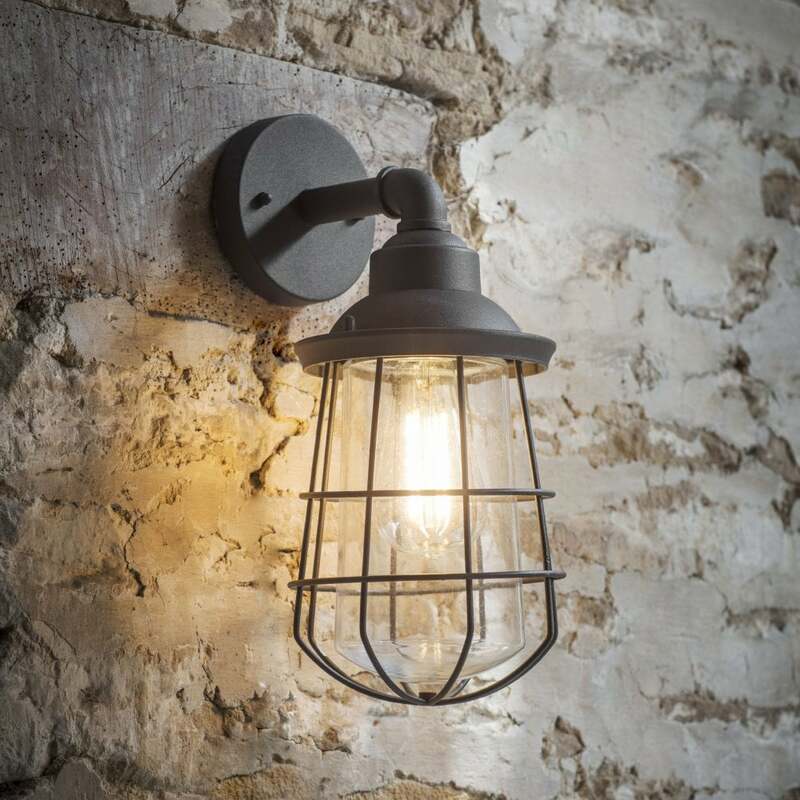 From the success of Garden Trading's caged exterior lighting comes the Finsbury Wall Light. This Powder Coated Steel version offers an alternative to the St Ives range and comes in a beautiful textured matt finish. Designed in the Charcoal mid-tone grey colourway, it will add an industrial Victorian inspired edge to your exterior.